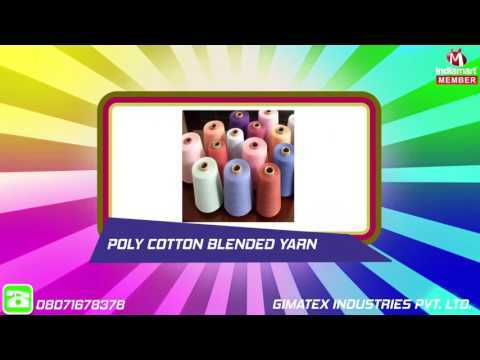 Appreciated and valued among its patrons for the purpose of manufacturing, supplying, exporting and importing the best quality of Cotton Yarn and Grey Fabric, a Gimatex Industries Pvt. Ltd. was established in the year 1994. We offer a wide range of products such as Raw Cotton, Cotton Yarn and Cotton blended yarn. Textile, weaving and embroidery industries are some of the sectors where the offered cotton yarn and grey fabric are highly demanded. To ensure high standards of quality, we procure the best quality materials from trusted vendors of the China, Indonesia and Thailand. Designed as per the prevailing market trends, the offered cotton yarns and grey fabrics are appreciated for their rich features such as low shrinkage, optimum strength, elegant pattern, soft texture and uniform thickness.